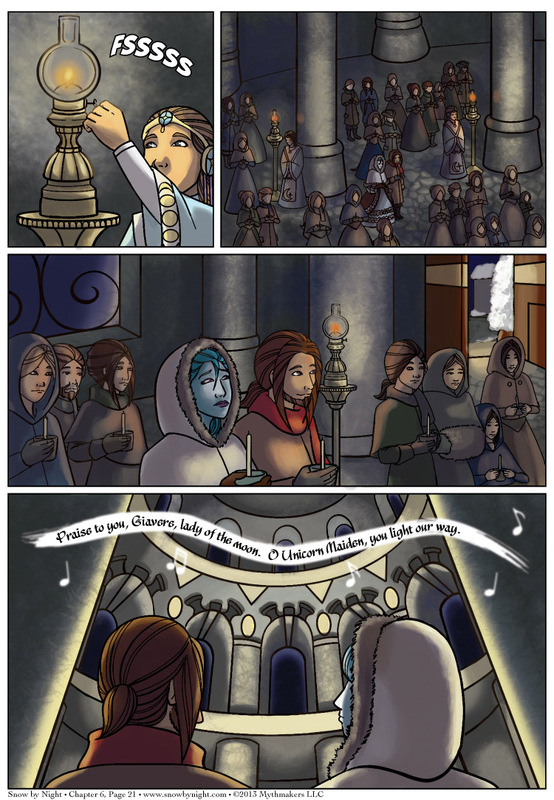 The temple darkens as Snow-by-Night and Blaise await the ceremony of Nuit Longue on Chapter 6 Page 21. 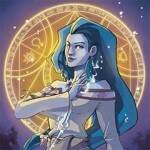 To see a preview of the procession of the Seers of Giavere, please vote for Snow by Night on Top Web Comics. NekoCon has asked for suggestions for webcomic guests on its Facebook page. If you would like Snow by Night to come down and give some presentations, please let them know. I hope we can live up to your dreams! That’s a tall order. “Oui, I will face the flames if I must to find my heart. A good thought for any creative artist. Did the deac… sorry, light bearer stop and chant something like “the light of Giavere” three times as required by the rite? Lucky for him the candle is relatively small. I had an unpleasant experience with one 4 feet tall and quite heavy.